The Cape Cod house remains a popular style, but it is fair to say that there are a lot more houses that are called a Cape Cod than there are actual Cape Cods. I began my introduction to my House Styles section by telling a story about a realtor who called almost every house she promoted a “Cape Cod”. Under this heading she dumped just about anything in a certain price range. 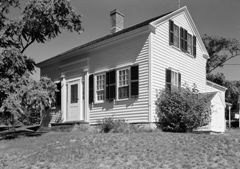 This article will explore what characteristics define the Cape Cod house and why it developed the way it did. Along the way I will give you some advice on separating the true Cape Cod houses from the fakes. Some of these “fakes” are fine and beautiful houses, but if a term gets misused it loses its meaning. This article is an attempt to right that wrong and to confirm the Cape Cod house in its rightful place in the pantheon of home styles. 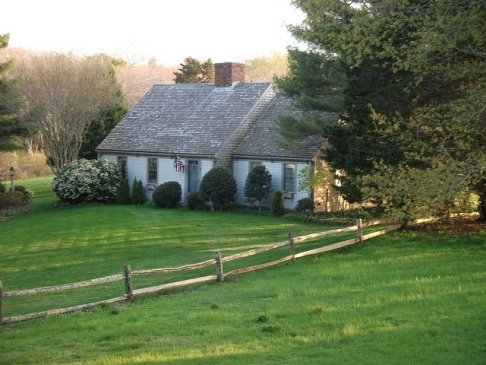 The Cape Cod home is a colonial adaptation of a very simple European post-and-beam home. Originally the homes were identical to their Old World cousins, but the practical realities of life on Cape Cod produced changes and formed the Cape Cod style. First of all it has a simple hall and parlor layout. In the standard Cape Cod house the door is centered on the front of the house and opens into a hallway. Rooms are accessed from this central hall. Since the chimney is also centered the hallway is short and ends on the backside of the fireplace, with a hallway door leading past the chimney and into a long room running the length of the back of the house. This was the typical layout in the colonial era. Above the first floor was either a loft or a half-story with gabled dormers. In the earlier homes the houses lacked the dormers, but these came along in time, and in its Colonial Revival version a house with dormers was probably the prevalent form of the house. This hall and parlor layout was not original. It was what they were used to back in England. The innovation came in the materials. The daub-and-wattle walls (mud on sticks) didn’t withstand the strong Northeaster storm winds. Wood was readily available, so clapboard or shingle siding was added. Straw roofs weren’t a good idea in those same storms, so wood roof shingles became the order of the day. 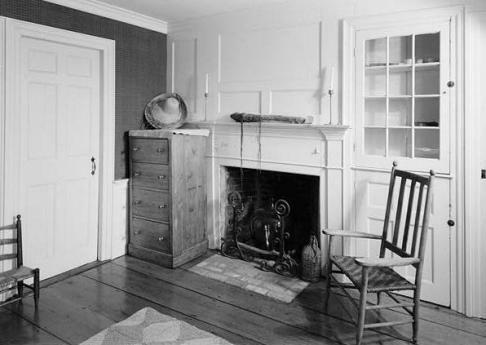 Massachusetts was also much colder than England, so the ceilings were kept low, to hold in the heat, and chimneys were moved into the center of the house. Along with the cold came lots of snow, so roofs were kept steep. The overhang of the roof was minimized, so those strong winds wouldn’t rip the roof off of the house. Shutters were a standard feature to help the windows survive the storms. Inside, to keep out the damp, wainscoting lined the walls. 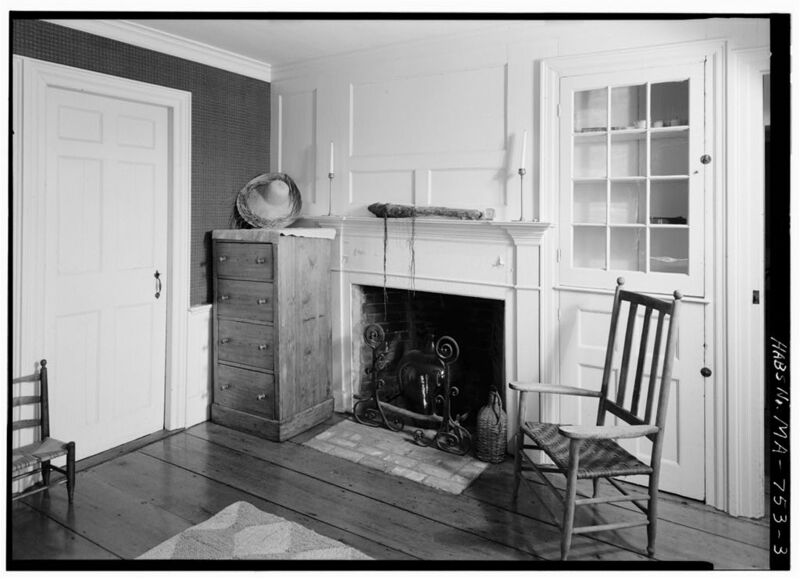 This was an old trick, and not unique to the Cape Cod house, but it became associated with the Cape Cod. Along with white wood trim on the interior it is one of the telling points of the Cape Cod style. This is a colonial look and it is a very pleasing look, but it is fair to say that most Cape Cods have abandoned this interior aesthetic. The layout is now likely to be an open floor plan, the walls are likely to be plasterboard and the décor much more contemporary. These changes do not (in my opinion) disqualify a house from being considered a Cape Cod. A typical Cape Cod had the door centered, and two windows on either side of the door, but there were a couple of variations. 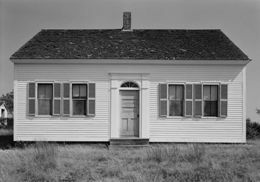 A three-quarters Cape Cod house had the door slightly off-center and one window to one side of the door and two on the other. A half Cape Cod had a door off to the side. Two windows were on one side of the door. Wings were sometimes added to the Cape Cod. Often the wings were of the same form, just slightly smaller and set back a little. 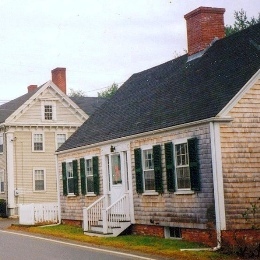 Later Cape Cod houses had attached garages as a wing. This half Cape Cod has a wing that in itself looks like the missing half. Windows were colonial era small-paned windows, no different than what you would find on a Georgian or Federalist house of the same era. With modern Cape Cods this is sometimes dropped in favor of full-paned windows, but it does detract from that Colonial look. Front porches were not part of the Cape Cod aesthetic. Porches were a Southern innovation. At best a doorway might have a covered entrance, an idea borrowed from the Georgian-style homes. Later Cape Cods might have a screened porch off to the side or in back. 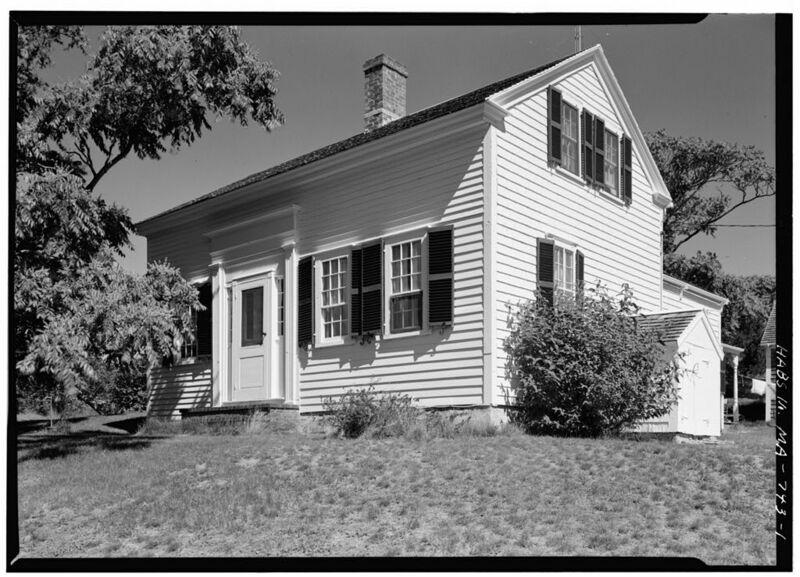 This Cape Cod from the Library of Congress collection of photos may be a very old house. 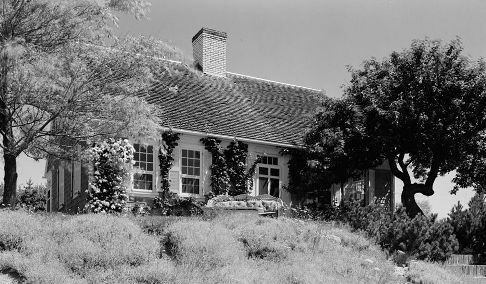 The photo was taken in 1933, but it is covered in vines and bears the wide chimney of an era before wood stoves took over the task of heating. What you end up with is a very plain, compact, but well-built house. It was not a fancy house, and people tended to associate the Cape Cod with lower classes. It wasn’t a house you aspired to and it seemed to have no aspirations of its own. If you tried to expand the Cape Cod and made it fancy, it started to look like something else. But, it was a practical house, so it found acceptance beyond Cape Cod. It was plain, but it could have pleasing proportions. Generally it stayed true to its roots and it was kept simple, but when the Greek Revival became popular some people combined the two styles, so you ended up with Cape Cod homes with pilasters on the corners and an entablature supporting the roof. The Cape Cod was revived at the end of the Victorian-era when architects started looking back to America’s colonial roots. The Colonial Revival covered a lot more than Cape Cods, but the Cape Cod benefitted nonetheless. The Cape Cod gained traction in the Depression years, when inexpensive housing was all that the market could bear. The Cape Cod benefitted from having a capable champion by the name of Royal Barry Wills, a Massachusetts architect who knew a lot about self-promotion. With most of the architecture world tacking towards Modernism Willis promoted the Cape Cod. It helped that he had a good eye for balance and proportion. The Cape Cods that he designed now sell for a premium. Willis wrote about architecture for multiple publications and one of the things he wrote about was the Cape Cod. In this he had a a good deal more success than many of his peers as they pushed modern housing. The public wasn't putting up with that. They preferred a traditional look, and this was what Willis gave them. A full Cape Cod house from Truro, MA with a Federalist inspired doorway. One effect of modernity has been a thinning of the chimney, to the detriment of the overall sense of proportion. The Cape Cod was often used for tract homes. Cheap, and quick to build, it was a common style used in the building boom following WWII. 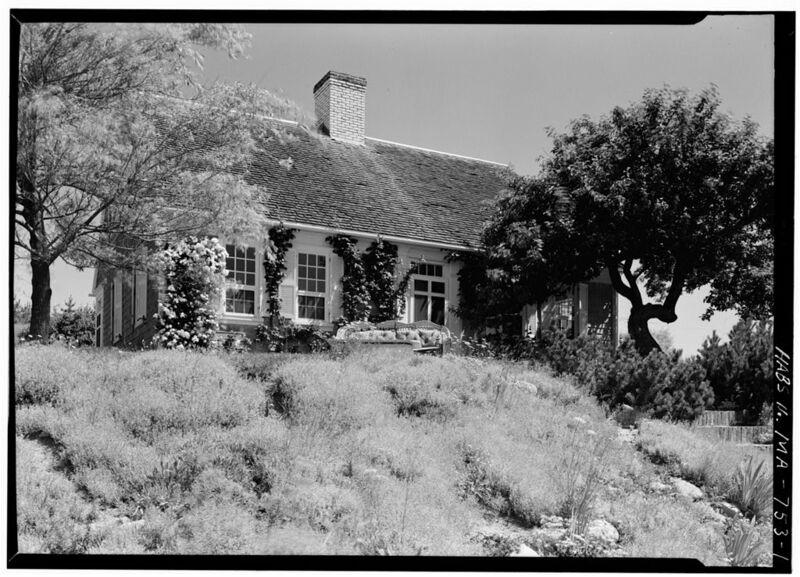 Eventually the Ranch home replaced the Cape Cod as the popular choice on the lower end of the market, but the big killer has been our own prosperity. Humble, compact 1 ½ story homes have been replaced with larger, sprawling 2 story homes. As the average square footage has increase there have been fewer places in the market for the Cape Cod, with its relatively small footprint, but it is still around and periodically is revived in one guise or another. This brings me back to my original story. Cape Cod has become a marketing term rather than a distinct home style. To some people it seems to have become an amorphous term, rather like “cottage”. It conveys a warm, pleasant thought rather than a distinct image. This photo for instance came with some marketing hype: "Sophisticated, private and stylish Cape Cod home on one of the premier streets in Sherwood Country Club Estates! This traditional Hamptons-style home..."
Here it is claimed to be both a “Cape Cod home” and a “traditional Hamptons-style home”. I cannot speak for whether it is in the Hamptons-style, but I will declare it an imposter with regards to the Cape. A Cape Cod house? I think not. The basic outline may qualify it for the Cape Cod name, but the indented porch dominating the house is a feature not present on Cape Cod homes. If the porch were added on you could fairly say it was a Cape Cod home plus a porch, but this porch compromises the structure itself. Further it is stretched too wide. 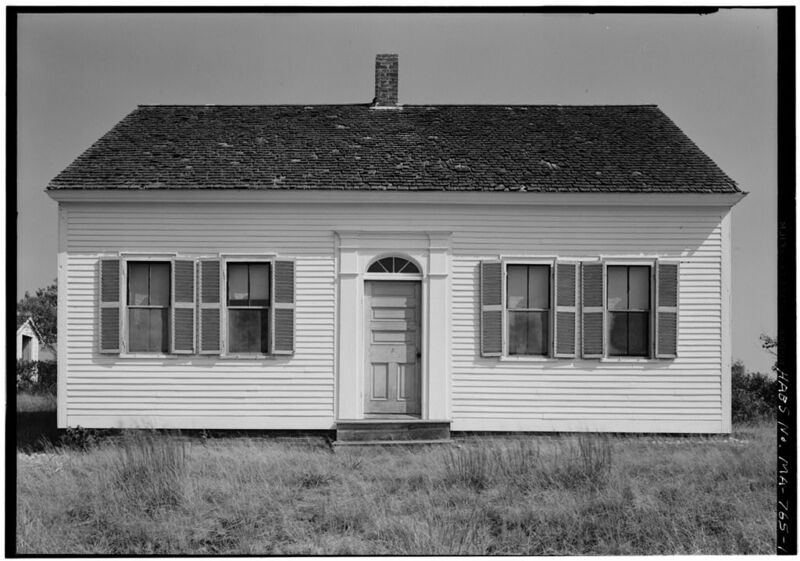 Cape Cods would generally have two windows on either side of the door. This may seem like a minor point, but part of the defining character of the Cape Cod was its compact form. Stretch it out too far and it becomes something else. This same story is repeated on a daily basis. A house becomes a Cape Cod because the name sells. And having been told that a variety of homes, bearing no resemblance, all are Cape Cods, the home buyer files it away as another meaningless architectural term. Well, you at least have an idea what defines a Cape Cod, so perhaps we can reclaim this word and restore its lost dignity. If you enjoyed this article, you may also be interested in my other articles on house styles, where I talk about Georgian, Federalist, Greek Revival,Carpenter Gothic, Italianate, Stick, Queen Anne, Second Empire, Tudor and Craftsman style homes. Do you have a great story about this? Photos of great houses? Maybe you can add to our body of knowledge about this subject, or maybe you just have questions. Either way feel free to participate in our conversation.